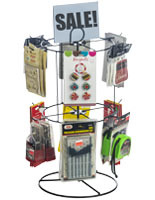 This white countertop spinner display is perfect for small hanging merchandise in your retail store! 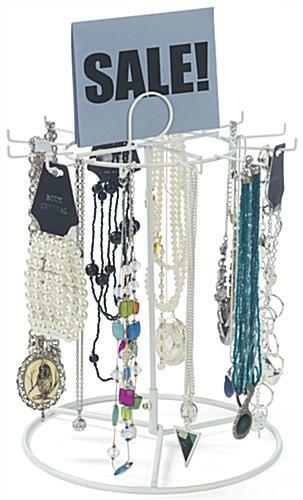 Each rack has a metal build with twelve 2.125” long pegs capable of accommodating a variety of jewelry, key chains, and more. 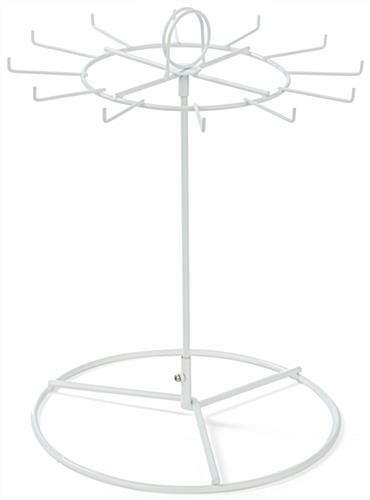 The spinner display for retail stores is easy to assemble by simply sliding the metal pole into the base and sliding the top rack over the other end of the pole. 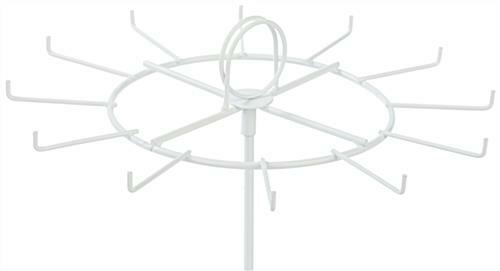 Each powder coated fixture has a circular base and rotating top so clients can get a better view of all products. 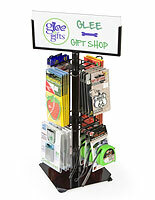 The stand also features a a sign holder to share important information. 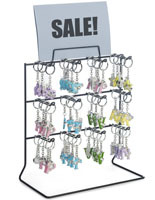 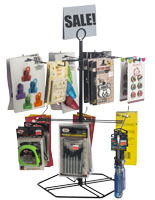 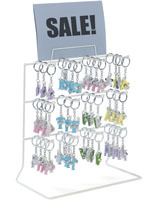 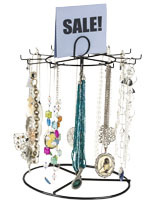 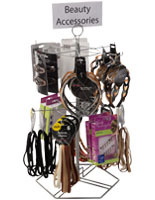 Use the spinner display at your business or retail store to showcase hanging merchandise!